New Florida Law (HB21) Targets Opioid Addiction at the Root Level. Opioid Epidemic—How Did We Get Here? According to a report from the National Institute on Drug Abuse, in the early 1990s through 2012, opioids were commonly prescribed to relieve pain. But over time, abuse of the drugs grew. • Opioid addiction and overdose are the leading cause of accidental death in the U.S.
• In 2016, more than 40,000 Americans died from drug overdoses that involved an opioid. • Between 21 percent and 29 percent of patients who are prescribed opioids for chronic pain misuse the drugs. • Opioid overdoses increased 30 percent from July 2016 through September 2017 in 52 areas in 45 states. • 3.6 percent of kids aged 12 to 17 years old misuse opioids as well as 7.3 percent of those 18 to 25 years old. 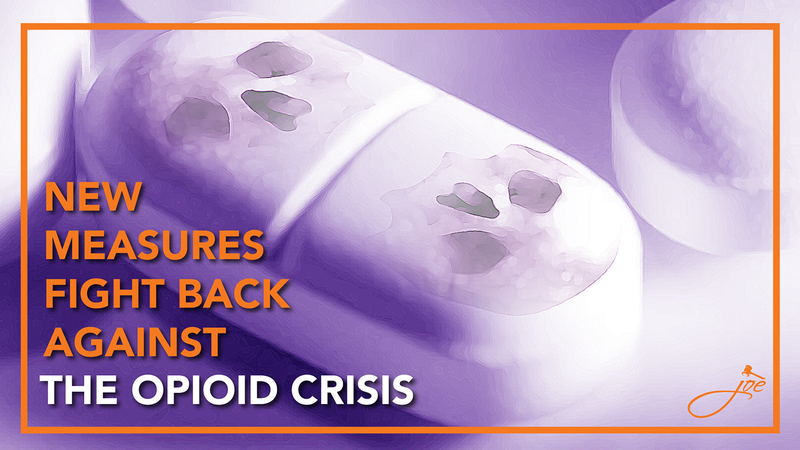 • In Florida, opioid-related deaths increased 35 percent from 2015 to 2016, with opioids associated with 5,725 deaths in 2016. As of July 1, 2018, most opioid prescriptions will have a 3-day limit. What are Opioids and Why Are They Addictive? Dr. Evan Malone, Board Certified in Internal Medicine and physician consultant for Zarzaur Law, P.A. provided insight on this important subject. Opioids are a class of drugs that include synthetic opioids such as fentanyl, and pain relievers available legally by prescription, such as oxycodone (OxyContin®), hydrocodone (Vicodin®), codeine, and morphine. Opioid pain relievers are generally safe when taken for a short time and as prescribed by a doctor, but because they produce euphoria in addition to pain relief, they can be misused (taken in a different way or in a larger quantity than prescribed, or taken without a doctor’s prescription). Regular use—even when prescribed by a doctor—can lead to dependence, the National Institutes of Health (NIH) says. As the brain becomes used to the dosage, it requires more of the drug to provide pain relief and the feeling of well-being. This makes it easy to become addicted. In a report from the Center for Disease Control (CDC), prescription opioid addiction can serve as a gateway to use and misuse of illicit drugs (i.e. heroin, illicitly-manufactured Fentanyl) or controlled substances (i.e. Fentanyl, Dilaudid, Oxycodone). So, How Does This Impact Patients? According to Dr. Malone, the end-point of preventing dependence upon opioid agents will hopefully be realized over time. This could directly benefit patients, their family members, friend, co-workers, etc. The offset will require patients to be diligent in their follow-up and management of acute pain whether it be following an accident, following a planned procedure, or the like. What are the Alternate Chronic Pain Management Options? Pain is a subjective problem, and different people experience pain differently. An injury one person might shrug off is an excruciating experience for another. The definition of chronic pain is a pain condition that lasts for more than six months. Less than six months, it’s considered subacute pain. It’s something of an arbitrary cutoff, but it’s a standard definition. The effectiveness of alternative treatments for chronic pain has been known for a long time. There were a large number of multi-disciplinary pain clinics opened on a somewhat experimental basis back in the early 2000s, where patients would come in and see a physician, a physical therapist, a psychologist, a massage therapist, an acupuncturist, etc., all under one roof. These practices were very successful in alleviating pain in chronic pain patients, as the CDC later confirmed, but the idea wasn’t widely adopted because the approaches were expensive and some insurance companies didn’t want to pay. Opioids were cheaper. Unfortunately, opioids don’t work. If you have a chronic pain condition and the current regimen of treatment is with opioid medications, you have more effective and more long term options without as many side effects. It will require an investment of time and effort, but, in the long run, you will be happy that you made the change. If you have a chronic pain condition, and you’re not satisfied with how things are going, challenge your doctors to see if there is a better approach. If you or a loved one have been involved in an accident and suffer from chronic pain caused by negligence of another, it is important to consult with a Board Certified Trial Lawyer who has the knowledge and experience to help you. 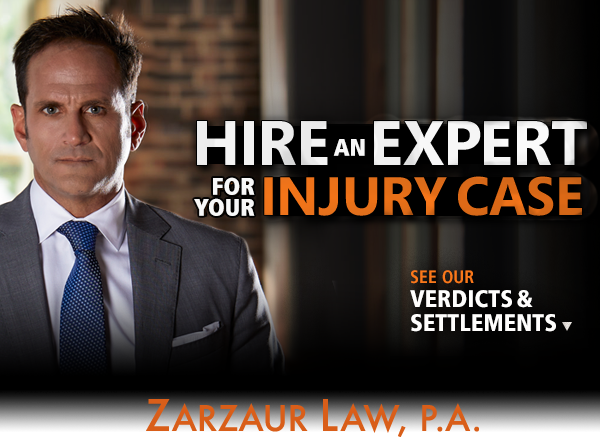 Pensacola Personal Injury Attorney, Joe Zarzaur works in all areas of personal injury including motor vehicle accidents, truck accidents, pedestrian accidents, motorcycle and boating accidents, medical malpractice, slip and fall and wrongful death. Call Zarzaur Law, P.A. today at (855) Hire-Joe for a free legal consultation or visit www.zarzaurlaw.com. Offices in Pensacola and Destin, Florida.